How to Do Acer Disk to Disk Recovery? 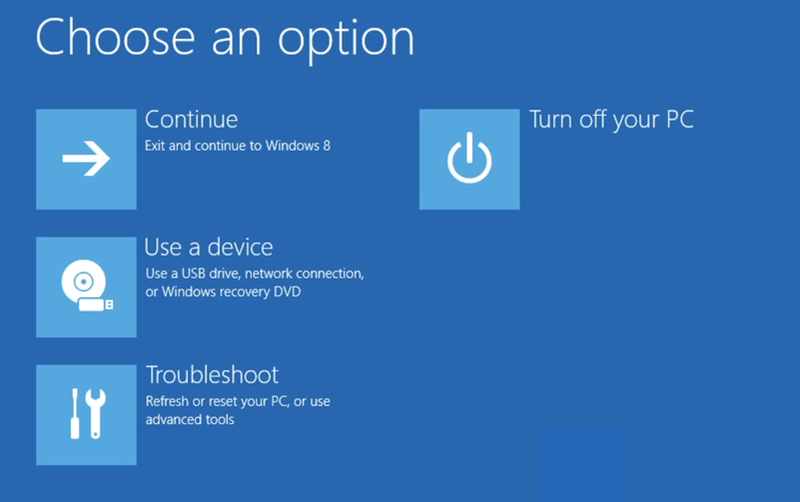 Please read through this article to find out how to do acer disk to disk recovery work. Acer disk to disk recovery means to restore Acer operating system with recovery discs. The recovery disks can be Acer recovery CD, Acer recovery DVD or Acer recovery USB, one of which should be made when you first get your machine. Before start, you should prepare a kind of recovery disk. If you do not have one at hand, you can Acer recovery disk download from support center. Or, order recovery discs from customer service. If your current system is still working and you just want to set it to factory settings but keep your personal data, you should move them to other place or make a backup of them. When you get your recovery media (here take Acer recovery USB for example) and get your important data protected, let’s begin Acer disk to disk recovery. 1. Plug in the Acer recovery USB when your computer is off. 2. Power on the machine and press “F2” or “Del” the moment the first logo shows up to enter BIOS. 3. In BIOS, set the Acer recovery USB as the first boot device and exist. 4. 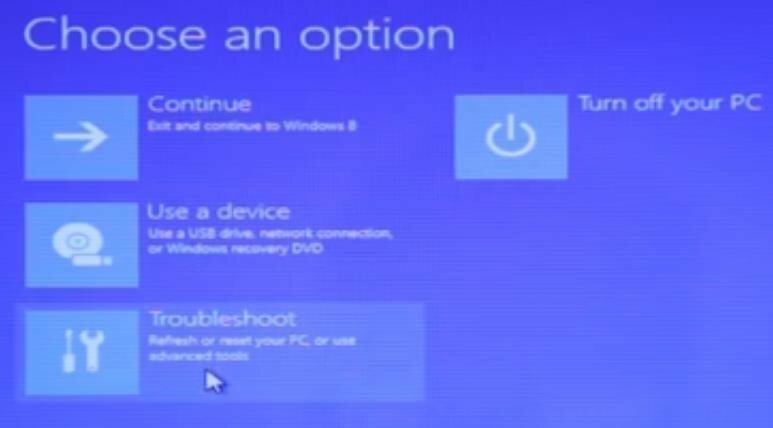 Your computer will reboot from the Acer recovery USB and select your language when it boots up. 5. 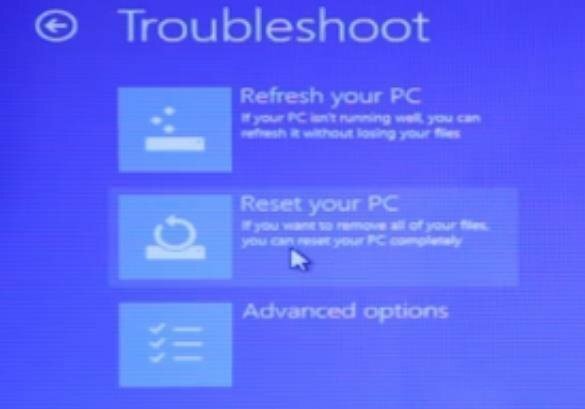 Choose “Troubleshoot” > “Reset” > “Next”. 6. 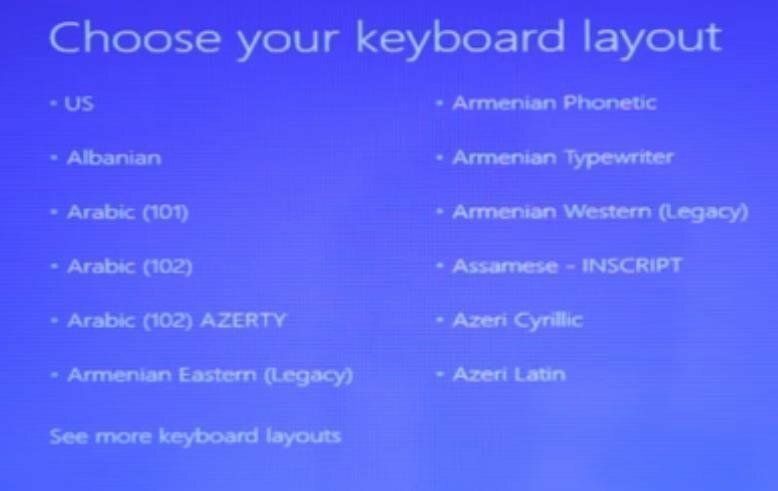 Select your version of Windows. 7. 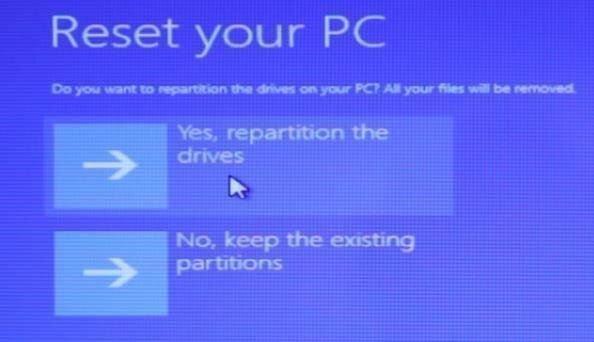 Select “Yes, repartition the drives” if you have no Acer recovery partition on system hard drive. Otherwise, select “No, keep the existing partitions”. 8. Choose “Just remove my files” > “Reset”. 9. The system will restart into the Recovery screen. Then, remove your USB drive. 10. Click “Continue” to exit and boot into Windows. 11. Finally, just do Windows fresh setups like you did when you first get your machine. 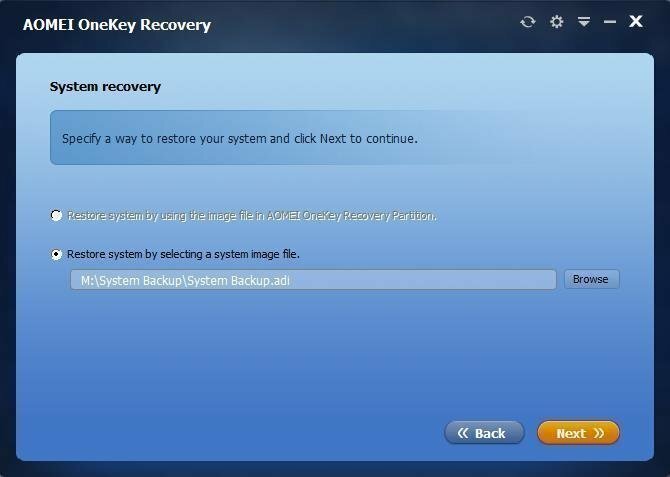 AOMEI OneKey Recovery is a third party software professional in system backup and restore. Use it, you can easily manage your OS. Before disk to disk recovery, you also should have a recovery disc (here also take Acer recovery USB for instance) you made before (better before you have made much changes to your factory operating system) using onekey recovery. If not, make one for future use if currently the system is still working. 1. Connect the Acer recovery USB with your computer when it is off. 2. Power on the machine and press “A” or “F11” when its logo appears. Usually, it will automatically boot into AOMEI OneKey Recovery environment. Otherwise, you should choose to boot into the environment. In the environment, AOMEI OneKey Recovery will open automatically. 3. Select “OneKey System Recovery”. 4. Choose “Restore system by selecting a system image file”. Then, find the image file on the Acer recovery USB you plug in. 5. Preview the disk layout after restoration and click “Start Restore”.